Now better than ever! The Rooster Sailing Bag. With a wet and dry compartments, two mesh pockets, two mylar pockets and everything tied together with double ended zips and Rooster Fasteners. Constructed from stronger, tear resistant, waterproof fabric. Four external mesh pockets on the ends and sides for storing tape, tools and other spares. 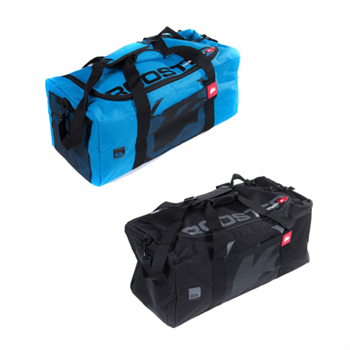 Don't just use it for sailing - we use these bags as overnight bags and flight bags when we go away. They are much easier to carry than a suitcase and really stand out on the airport baggage collection carousel!